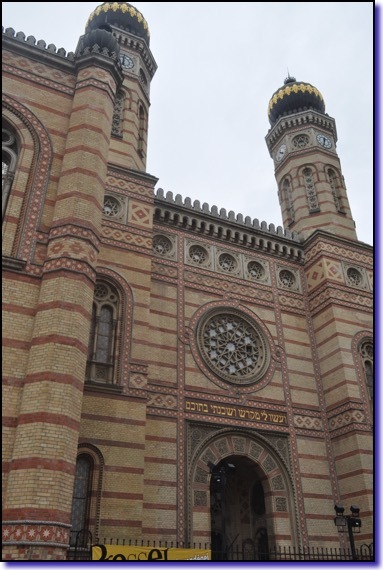 We stand craning our necks upward, gawking at the impressive facade of the Great Synagogue in Budapest. Opened in 1859, it is the second largest in the world—only Temple Emanu-El in New York is slightly bigger. Stepping inside, we marvel at the rich, glittering and ornate Moorish Revival architecture. 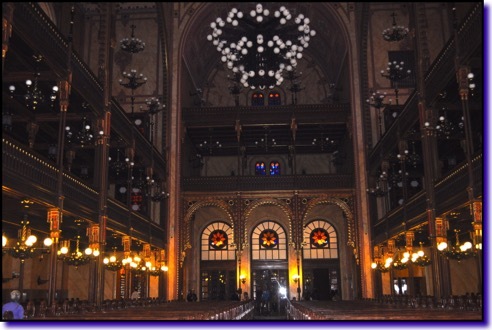 Hard to believe that in 1939, Hungarian pro-Nazi party bombed the synagogue now so beautifully restored. It is interesting to note that Dohány Street marked the border of Budapest's Jewish Ghetto from 1944 to 1945. In the Jewish museum next door to the synagogue we take time to browse through exhibits illustrating the history of Judaism in Hungary, during the life of the congregation, spanning Nazism, Communism and Democracy. After that we visit the Raoul Wallenberg Holocaust Memorial Park in the courtyard of Great Dohány Street Synagogue. 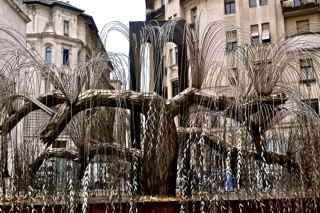 As we step into the sunlight of the courtyard, a graceful sculpture of a tree with steel branches shaped like a weeping willow adorned with delicate silver leaves are lovely to behold. Then we notice that there are eight branches and that the branches are strangely contorted downward. Drawing closer, we see that each leaf has a name engraved on it. We circle the tree, shivering as we whisper the names, knowing that each one stands for the 5,000 victims of the Holocaust buried nearby. The eight branches must symbolize of the number of candles on a menorah. And the upside down branches remind us of the devastating, hopeless years of the Holocaust. Adding to the poignant juxtaposition of “beauty and the beast,” in the midst of the tree stands a black stone with two empty spaces, like empty eye sockets, where the Ten Commandments should be. 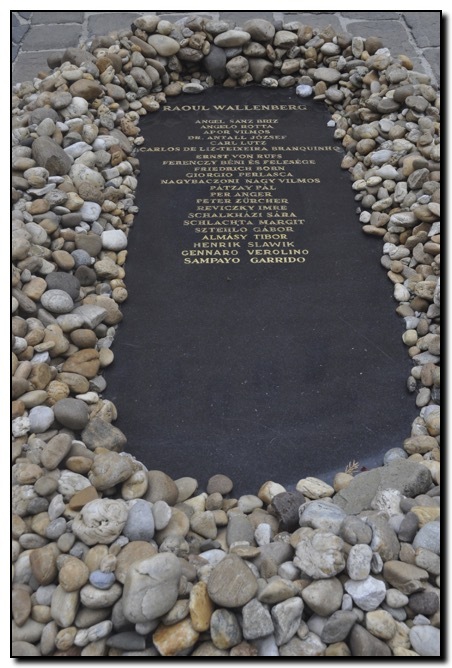 The stone evokes the abandonment of the Jews by their countrymen and their God, searing reminder of the 400,000 Jews murdered by Nazis and their collaborators. In the courtyard we stop to pay our respects at the Rescuers Memorials to those who had the courage and moral fortitude to save Hungarian Jews, especially Raoul Wallenberg and other Righteous Among the Nations—Swiss Vice-consul Carl Lutz, Giorgio Perlasca (Spanish consul-general in Hungary), monsignore Angelo Rotta (Apostolic Nuncio of the State of Vatican City in Budapest) and his secretary monsignore Gennaro Verolino—who saved tens of thousands of Hungarian Jews during WW II. And it helps to think that even in the worst of times goodness can triumph over evil.